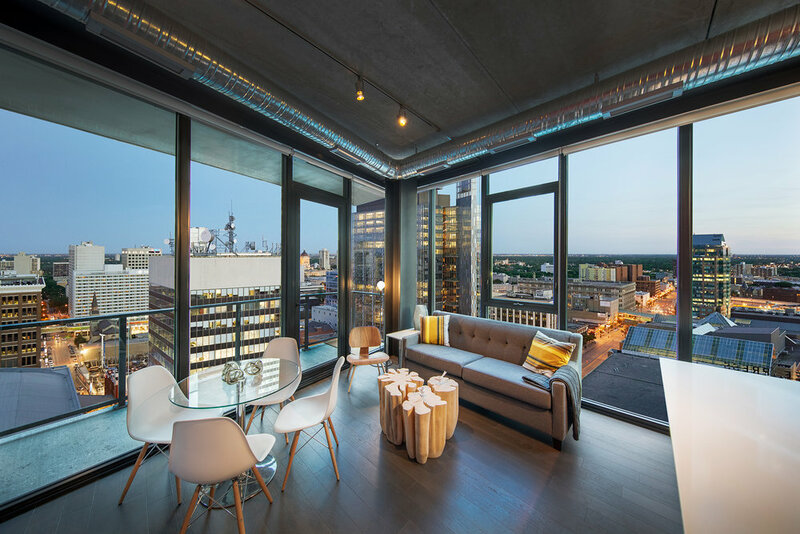 Glasshouse shines in the skies of downtown Winnipeg, with 200 loft-style suites designed for people who appreciate an urban lifestyle of outstanding convenience, luxury, and entertainment. Glasshouse Skylofts offers stunning, uniquely modern lofts that bring style, sophistication, and cutting-edge design to the heart of the city's newly revitalized downtown. Glasshouse services and amenities are unlike anything Winnipeg has seen before. Full concierge services and outstanding shared spaces create a lifestyle of casual, upscale comfort that residents will love and guests will envy. Glasshouse introduces a whole new style of living in Winnipeg, what we call "urban chic" - unabashedly urban, cool and authentic, with a touch of an industrial feel tempered by a warm palette of materials. 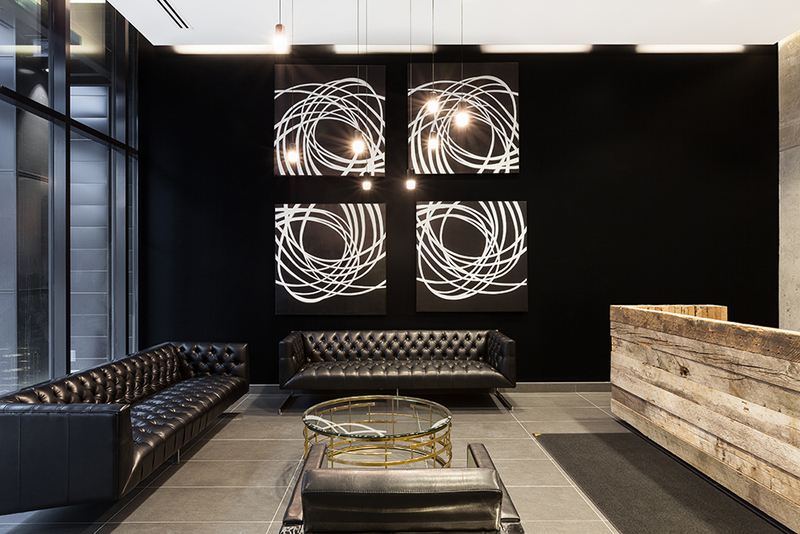 Skylofts come with 9 ft high exposed concrete ceilings (10’4” on floors 2-5 and the penthouse), exposed steel columns and spiral ducts, and single plank engineered hardwood floors, providing clean, modern interiors consistently throughout the entire space. Open concept layouts with rolling barn-style doors provide privacy when needed and extra space when entertaining. The bold 15 ft high boutique style lobby on Hargrave Street will welcome you home with executive concierge service and two residential elevators. High-security features include Enterphones in the lobby and parking vestibule; a fob-based access system at all condominium entry points and to the amenity areas; and strategically located security cameras. Glasshouse will also be directly accessible to Centrepoint via a sky bridge on the second floor. All Skylofts come with low flush toilets and high-performance water efficient faucets and shower heads. They also feature sustainable hardwood flooring; zero VOC-emitting paints and low-emitting paints, coatings, adhesives, sealants, and flooring. Overall energy usage is reduced through energy efficient windows and lighting, Energy Star appliances, and energy recovery ventilators (ERVs) that recover heat typically exhausted from suites. An advanced recycling system allows owners to separate recyclable materials at source. Full building life-cycle commissioning reduces callbacks and complaints and ensures that the building and all its equipment operate at the optimum performance level so that all efforts in design and execution actually bear fruit. At Glasshouse, like all Urban Capital developments, environmental sustainability and green living are considered from design inception through to final handover and long-term operation.